With rosé , the newest vintage is the best, as opposed to other wines where it’s the older (and therefore more expensive) the better. Fresh, bright, and light, rosé wine is the wine of choice for anyone who wants quality without cost. With rosé , the newest vintage is the best, as opposed to other wines where it’s the older (and therefore more expensive) the better. 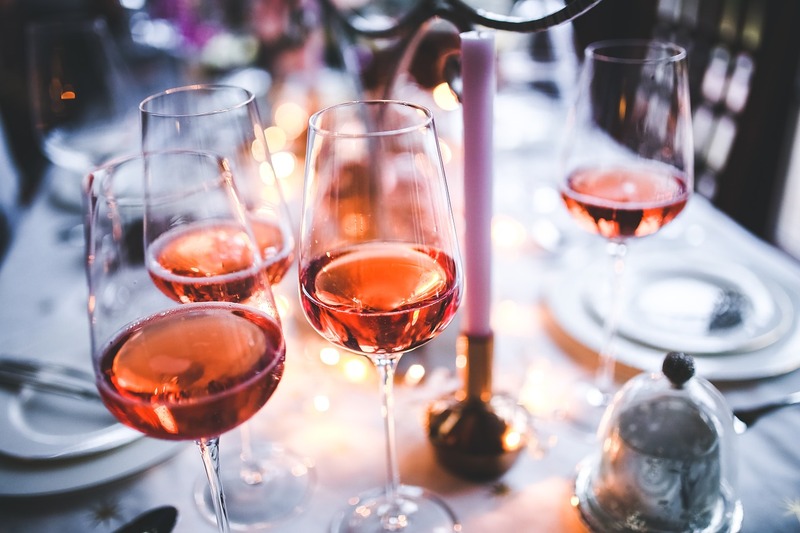 Instantly recognizable thanks to its pink hue, rosé has become very popular and with good reason. Even if you’re just now seeing it pop up everywhere and as a feature in blogs touting its glory in cocktail, sangria, and even popsicle form, rosé wine has an ancient history. During ancient Greece, all wines were the color of rosés, even red wine. There’s a myth that wine was this color because a man would mix red wine with water to dilute it, so his guests wouldn’t get too drunk and start fighting. The reality is that wine was just not left to macerate very long, which would result in a paler color. Wine eventually got darker, but the lighter rosé and shorter maceration time remained popular in what is now Provence, France. Monks would make the rosé and sell it to support their monasteries. During the Middle Ages, a Bordeaux wine called “clariet,” a dark rosé, was the most popular wine exported to England. It was the wine of kings and nobles during the 14th century. That wine is rarely made anymore, and by the 18th century, dark red wines became more common. A toast to the summer of rosé! In the 19th century, rosé found a place in California. Provence would also begin to regain its stature as the place to go, which prompted Italy and Spain to follow suit. In the 1970’s, California saw a high demand for white wine, but there weren’t enough white grapes. Winemakers turned to red grapes and didn’t macerate them very long, creating “blush” wines that became very popular. Since those days, winemakers are now making rosés on purpose and because people want them. There are three ways rosé wine is made: through “skin contact,” the “saignee” method, and blending. The skin contact method is when the juice and skins of the grapes are left together for a day or so, and then the skin is disposed of. The juice ferments as normal into the wine. With saignee, a bit of the red wine juice is drained, so the final result isn’t as dark. Blending is just mixing red and white wine, but only one region (Champagne in France) is officially sanctioned to do this. That’s also the region where Rosé Champagne is from, which is called the “Queen of Rosé Wine.” Other important regions include Provence, of course, and Rhone. There are three ways rosé wine is made: through “skin contact,” the “saignee” method, and blending. What does rosé taste like? In general, the lighter the wine, the drier it will be. Darker pinks have very fruity flavors, while the pale ones aren’t as strong. Flavors that come through can include hints of mango, peach, raspberry, blackberry, and even cantaloupe. The wine should always be served chilled, and it goes really well with Mediterranean food, and food with spices like Thai and Mexican. What’s great about rosé wine is that you can get really good bottles for very cheap. In my state of Oregon, one of the best is the A to Z Wineworks rosé, which has a gorgeous color and flavors of citrus, plum, lemon, thyme, and pomegranate. A bottle will only cost you about $15. From California, there’s a $22 bottle of Clos Pegase, which is a very bright pink with a strong fragrance. It has notes of herbs, tart cherries, and blood orange.